I took the Sunnyside lift to Albion Basin and followed the summer trail towards Catherine's pass taking a short cut to the top of Rocky Point. I descended the Dog Leg Chute to Catherine Lake. Ascended to Catherine's continuing up past Tuscarora to the top of Wolverine. I traversed around Patsy Marly and descended the north facing continuing down along the ridge above Twin lakes to the pass. Ascended to the top of Honeycomb-Michigan City ridge descending the west facing into Michigan City and continuing, taking the summer road out above the homes, back to upper Albion parking. Snow, heavy at times and winds from the west gusting to around 40. Cool temperatures. 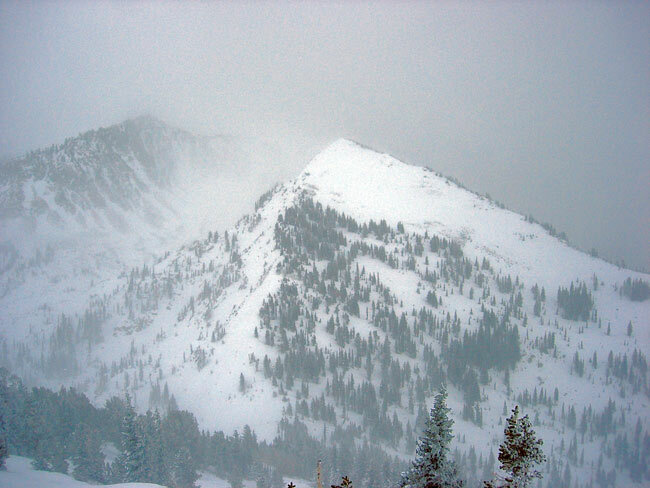 There was about 12-14 inches total snow by late afternoon with at least two density inversions, one active and producing sluff slides from cornice fall. Those were on easterly aspects. I triggered one by kicking a small cornice onto the slope, which ran several hundred vertical and had some good speed. This was within new snow layering. Skiing is a bit slow as the density changes prevent speed as is trail breaking. I experienced only localized cracking and no collapsing. 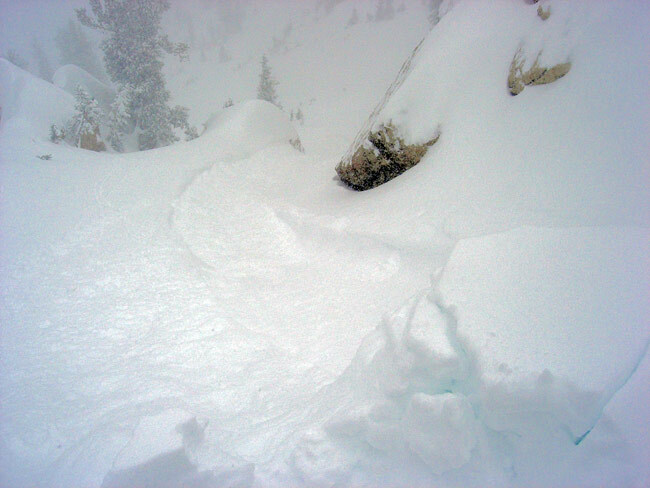 I was also finding a wide variety of underlying old snow conditions from stout crusts on the off aspects to unsupportable recrystalized, especially around rocks and other terrain features. Hazard was localized and within new snow layering directly related to wind loading on lee aspects. Would expect this to continue as the forecast indicates more wind and snow. 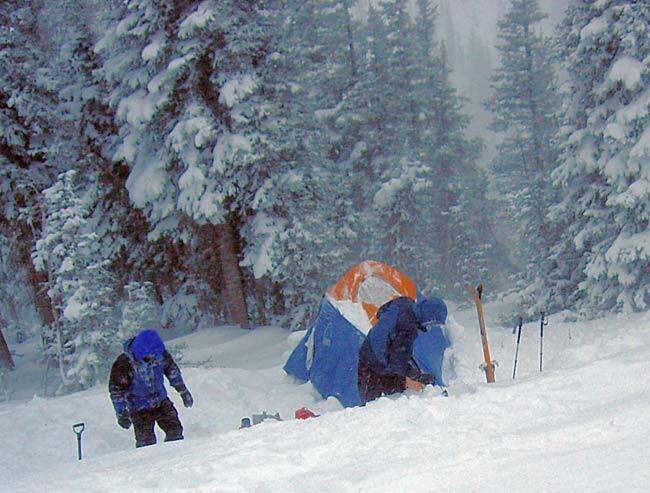 There may yet be a slab avalanche cycle lurking in the future on older snow faceted layering. But, first we need a slab. This hazard may well increase by tomorrow or it may wait till the new snow has settled and consolidated into a more cohesive mass.